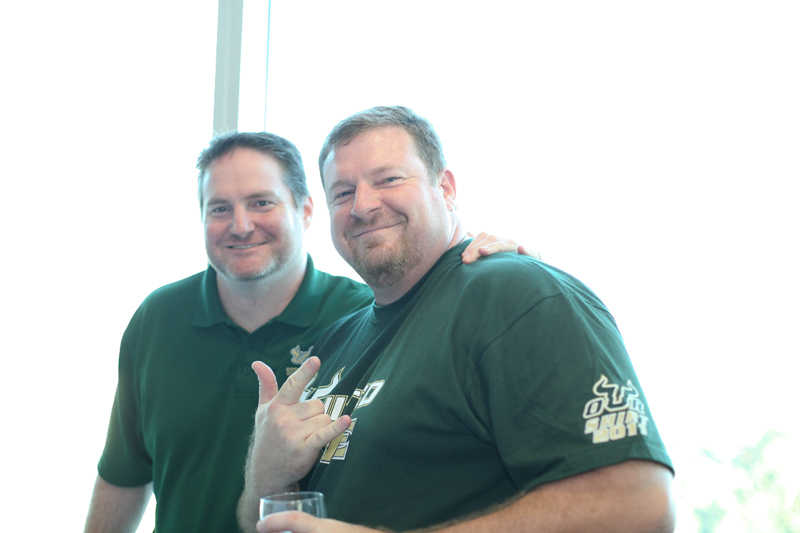 TAMPA, Fla. -- More than 300 people attended the University of South Florida’s College of Arts and Sciences Fifth Annual Oktoberfest. 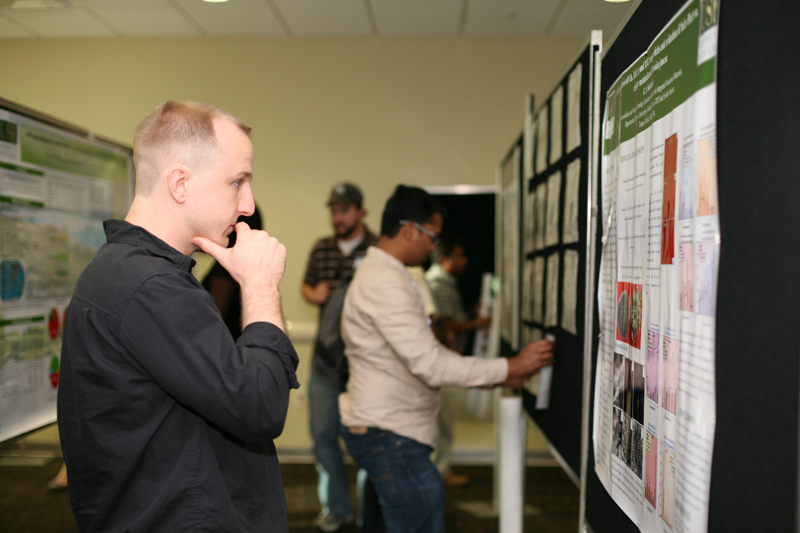 The event took place on Friday, Oct. 21 and highlighted some of the research and scholarship projects by faculty and students. 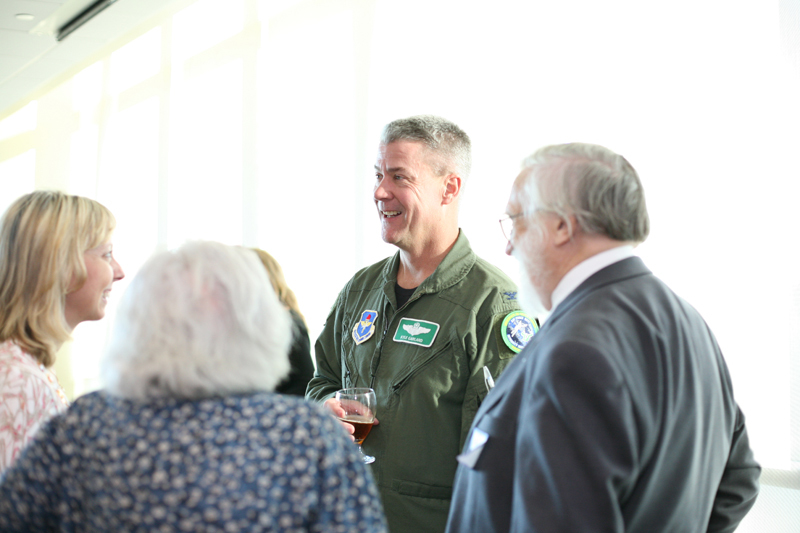 Each of the three schools within the College of Arts and Sciences--School of Humanities, School of Natural Sciences and Mathematics, and School of Social Sciences--were represented at the event. 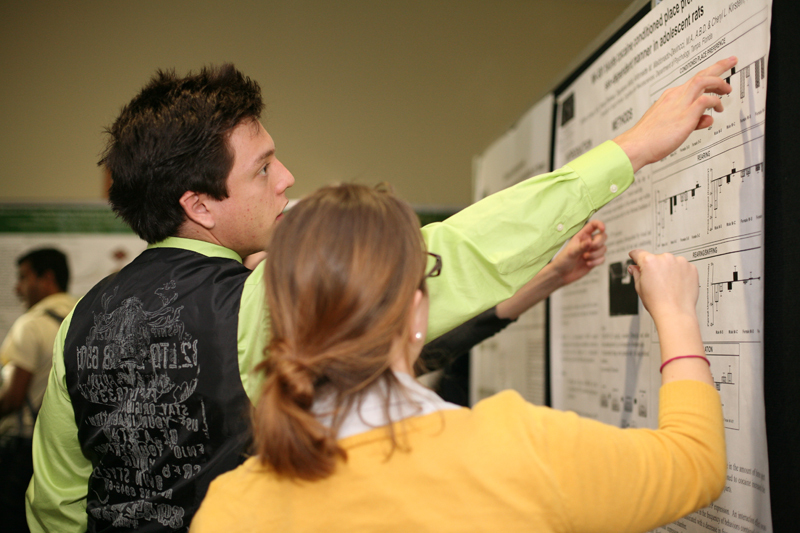 Seventeen of the 23 departments were represented in posters and scholarly displays. 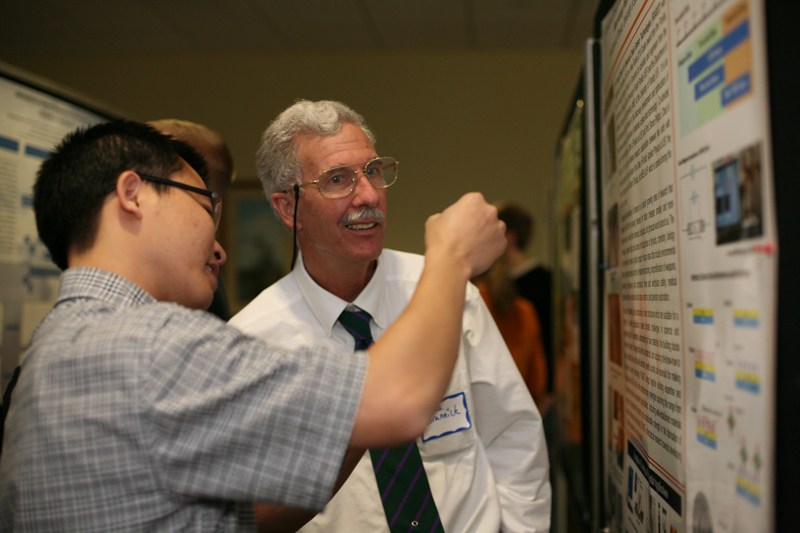 The College of Arts and Sciences annual Oktoberfest event plays a key role in building upon existing interdisciplinary synergies in areas of research such as renewable energy, nanotechnology, hydrology and water resources, conservation biology, drug discovery, materials science, and applied anthropology. 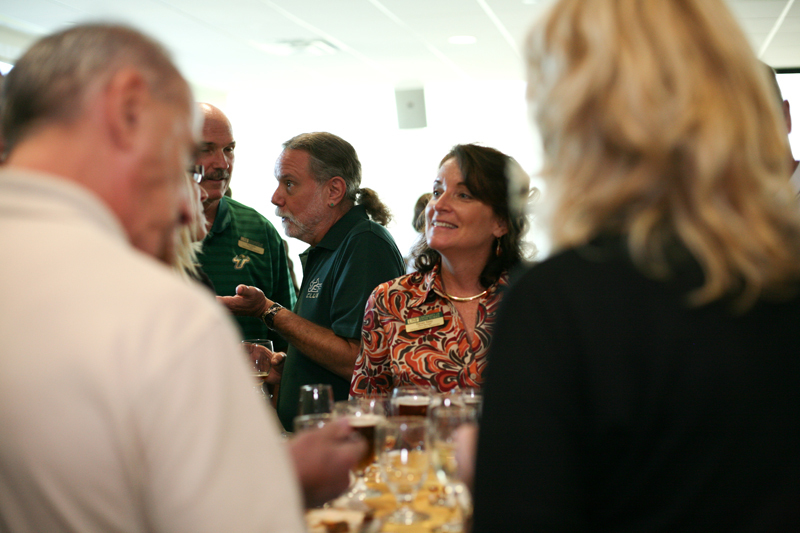 Partnering with the USF Club, Oktoberfest was able to showcase more than 60 posters and scholarly displays from the Florida Institute of Government, Humanities Institute, and USF departments like Anthropology and Communication. 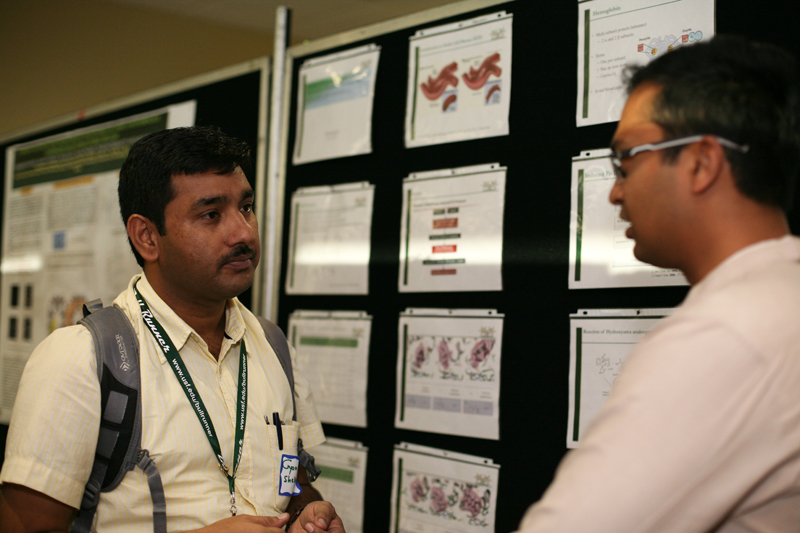 Events like these show why the Carnegie Foundation for the Advancement of Teaching classifies USF in the top tier of research universities, a distinction attained by only 2.2 percent of all universities. 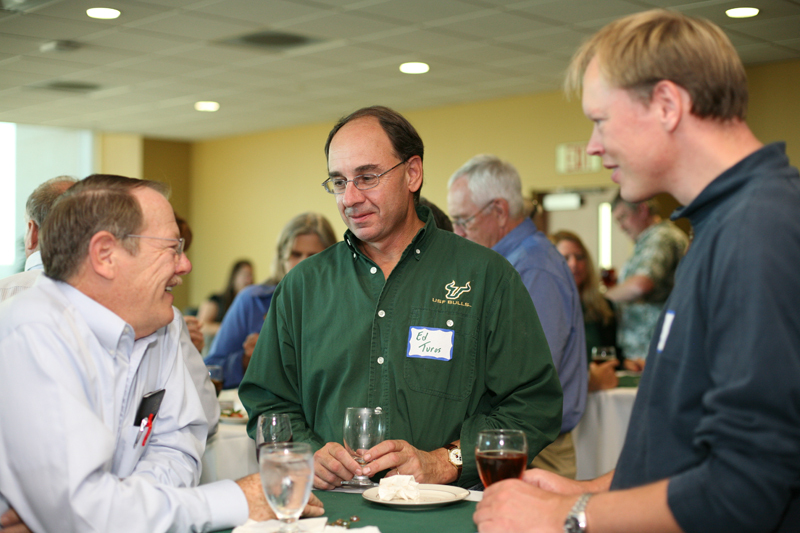 The College of Arts and Sciences is the largest and most diverse college at USF. 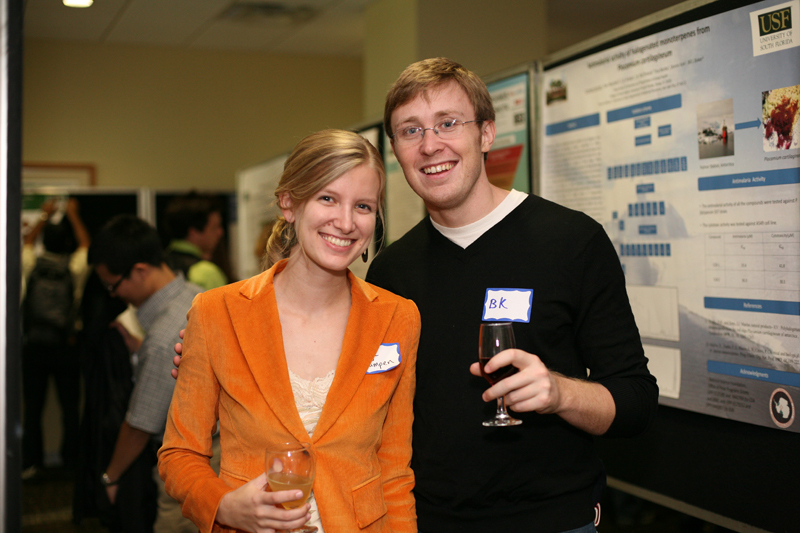 CAS is home to more than 100 funded research faculty with more than $61 million in active contracts and grants. Boasting a 30 percent rate for F&A recovery, CAS grants generate about $2 million a year in overhead rebate dollars. Research and scholarly excellence in natural sciences, social sciences and the humanities address a wide array of relevant topics that face our state, the nation and the world. With the success of this year, the College of Arts and Sciences is looking forward to next year’s event. 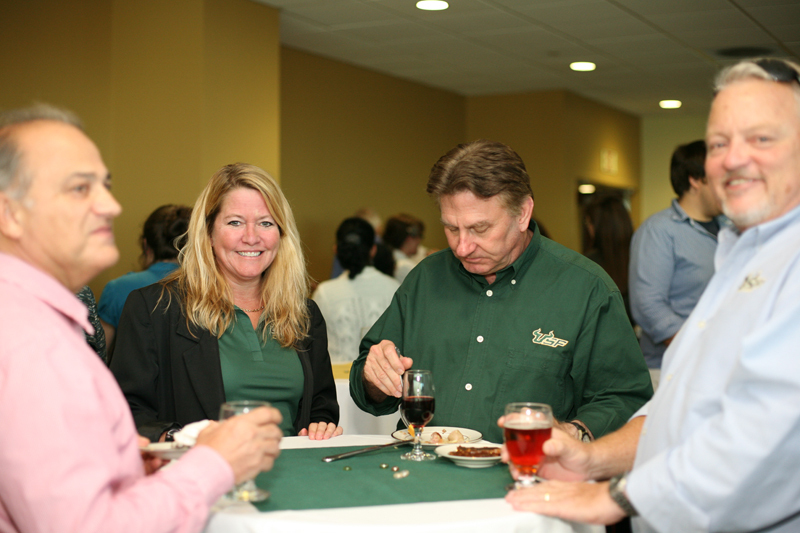 The College of Arts and Sciences would like to thank the following sponsors: USF Undergraduate Studies, Museum of Science and Industry, Reeves Import Motorcars and USF Athletics.